Mark O'Connor is a master of the violin who has long drawn on folk, jazz, country, and classical approaches. In his teens he won national old-time fiddle championships and soon became in-demand Nashville session player. From there, he started playing with symphonies and composing string quartets and fiddle concertos. O'Connor talks about what he calls his "amazing American musical journey." For too long classical and popular music have existed in different worlds, and on this American Routes we'll take a look at where those worlds have actually collided: how high art music crosses over with the folk, jazz and avant-garde forms. Music from George Gershwin, Duke Ellington, Scott Joplin, Stephen Foster, Mark O'Connor and Steve Reich. Plus the adventures of 19th century New Orleans pianist Louis Moreau Gottschalk. It's roots with strings on American Routes. American Routes combats cold, dark winter days with music and stories to keep you warm. 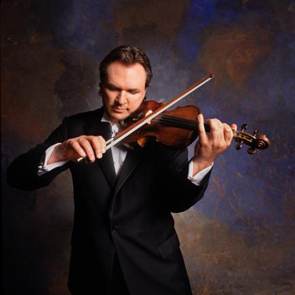 Virtuoso fiddler/violinist Mark O'Connor discusses his composition, American Seasons. Seamus Egan and Win Horan of the Irish-American band Solas take a musical journey from Philadelphia and Brooklyn to Ireland, and back. Plus Mae Nagark on Eskimo music from the Inupiat village near Barrow, Alaska. For too long classical and popular music have existed in different worlds, and on this American Routes we'll take a look at where those worlds have actually collided: how high art music crosses over with the folk, jazz, and avant-garde forms. Music from George Gershwin, Duke Ellington, Scott Joplin, Stephen Foster, Mark O'Connor and Steve Reich. Plus the adventures of 19th century New Orleans pianist Louis Moreau Gottschalk. It's roots with strings on American Routes. American Routes combats cold, dark winter days with music and stories to keep you warm. Virtuoso fiddler/violinist Mark O'Connor discusses his latest composition, American Seasons. Seamus Egan and Win Horan of the Irish-American band Solas take a musical journey from Philadelphia and Brooklyn to Ireland, and back. Plus Mae Nagark on Eskimo music from the Inupiat village near Barrow, Alaska.